Reputedly, there are only three people who understand the Schleswig-Holstein question. One is dead. One is mad. The other has forgotten. By the same token, there is only one person who really understands the Sufjan Stevens question. Luckily, he is not dead, and, thankfully, he remembers how to make music. Mad music. 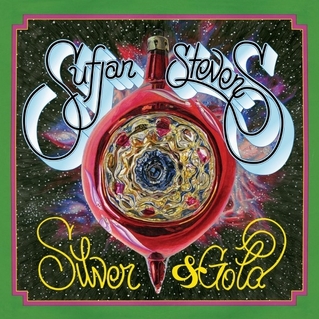 This time Sufjan has delivered 5 EPs of Christmas music dating from 2006-2010. The beauty of the collection is that it spans the period from his Illinoise moment through to the post-Age of Adz period and includes lots of Sufjan originals. The downside is that you have to put up with renditions of old favourites like ‘Silent Night’, which even his Sufjanness cannot fundamentally transform. The Illinoise-era EP contains some great tracks that would have graced The Avalanche set of outtakes from that time. Indeed, the most realised track from this time, ‘Barcarola (You Must Be A Christmas Tree)’, is worthy of the majestic Illinoise album itself. EPs 2 and 4 are cold and difficult to like. The third EP contains some full-on Age of Adz Sufjan. If you thought this experimental new sound was extraordinary, then you’ll love it. If you thought the burping electronica and farting synths were unlistenable, then pass on. The real interest lies in EP no. 5. There are a couple of throw-away nuggets and some standards, but there are also some wonderful new songs. Whereas some of the Illinoise-era songs on EP 1 are a little bit unrealised, here the sound is much fuller and more confident. ‘Up on the Housetop’ borders on the funky. ‘Justice Delivers Its Death’ is not as depressing as you might think. But ‘Christmas Unicorn’ is the stand-out. The lyrics are hilarious. “I’m a Christmas Unicorn! In a uniform made of gold, With a billy-goat beard, and a sorcerer’s shield, and mistletoe on my nose!”. It gradually builds until the point where the singers start chanting “I’m a Christmas Unicorn” over and over. Thank you very much, you think. But, no. There’s more. The melody changes slightly and suddenly everyone is singing “Love, Love Will Tear Us Apart”. In Sufjan’s world, when two phrases have same number of syllables, you can do anything with them. EP no. 5 doesn’t so much mark a new departure in Sufjan’s music. In fact, there are times when it sounds very like the ‘All Delighted People’ EP that preceded Age of Adz. But it does remind us that he still has plenty of ideas buzzing round in his head. And that can only be a good thing. Ho, ho, ho! Posted in Sufjan Stevens and tagged as Music, Review.